Sep 17, 2017; Los Angeles, CA, USA; Margaret Atwood arrives on the red carpet at the 69th Emmy Awards at the Microsoft Theater. 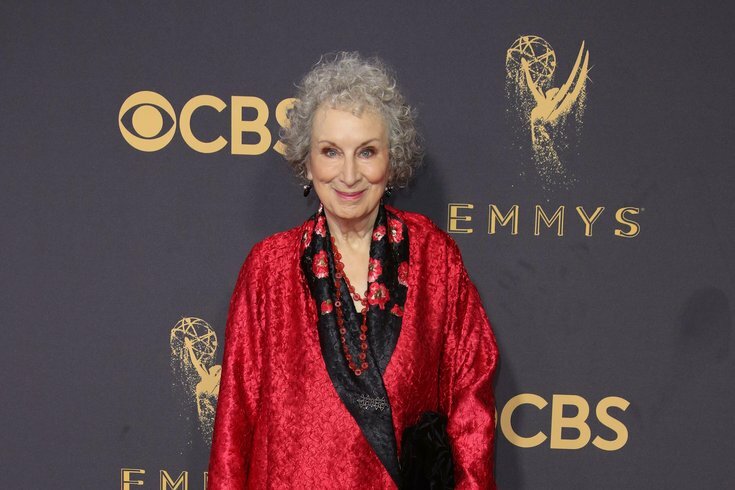 Penguin Random House announced Wednesday morning that a sequel to Margaret Atwood's dystopian novel "The Handmaid's Tale" will be released Sept. 10, 2019. The book, titled "The Testaments," is set 15 years after Offred's final scene in "The Handmaid’s Tale." It will be narrated by three female characters. "Everything you've ever asked me about Gilead and its inner workings is the inspiration for this book. Well, almost everything! The other inspiration is the world we've been living in," Atwood said in a press release on "The Testaments." "The Handmaid's Tale" was first published in 1985. In recent years, the novel gained new readership because of its relevance amid global discussions on sexual harassment and women's rights, as well as the success of the 2017 Hulu adaptation starring Elisabeth Moss. The publisher's press release also notes: "When Donald Trump was elected President in November 2016, Handmaids became a symbol of the movement against him, representing female empowerment and resistance in the face of misogyny and the rolling back of women's rights." While we don't know much about "The Testaments" yet, it was revealed that it will be unconnected to the show, which spans two series, with a third in the works.